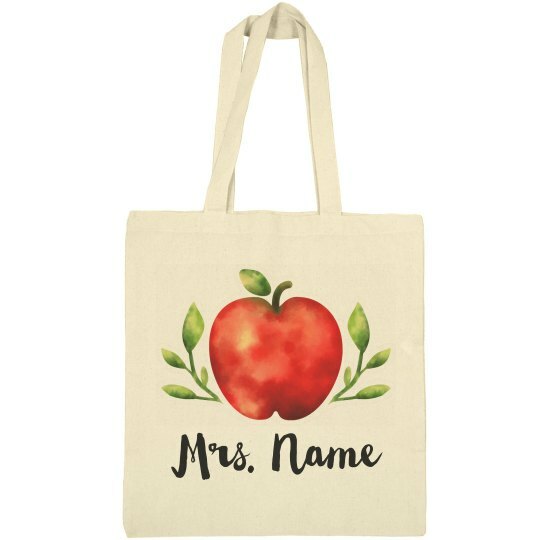 Every teacher deserves to be appreciated, so get yours a custom tote bag to carry all of their stuff in. This watercolor apple and leaf design is perfect for any trend setting educator. Since you can personalize it to their last name, this is a great way to show them some love.